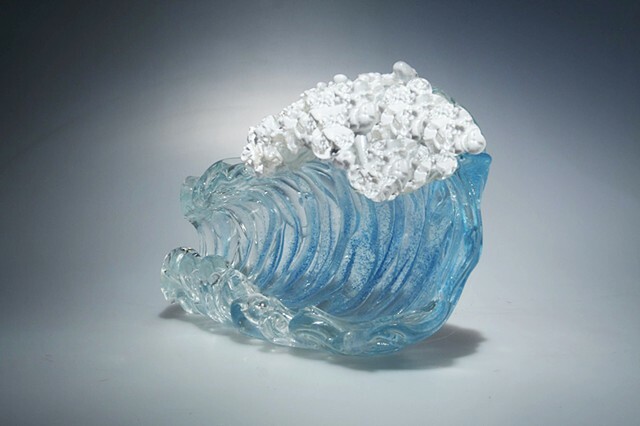 This wave series focuses on the continual crest of the ocean before the wave breaks. Multiple strands of liquid glass are added onto a long cylindrical hot glass tube. The tube is then manipulated with torches and free handed tools to sculpt the desired shape of the crest the wave takes.